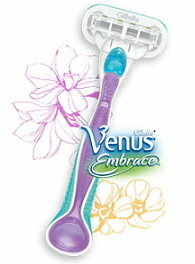 Gillette Venus just announced that Jennifer Lopez is the new Venus “Goddess” and to celebrate, Venus will be giving away FREE razors all day from 8 a.m. to 11:30 a.m EST. They will be posting questions on their wall HERE all day, and each time a question is posted the first 25 responses will win a FREE razor. So keep a close watch on their Facebook page to win a razor.